Such a cool way to give back to our community and help those that are struggling right now. The event is scheduled at St. Lucas Lutheran Church at 745 Walbridge Avenue (Off of Broadway), Toledo, OH 43609 from 4 to 5 pm. (Please note you will need to use the Frank Door Entrance). This is for the entire family so feel free to bring your children. We have a sign-up sheet for all items that we need below AND VOLUNTEERS. Please note volunteer spots are limited and unfortunately once they are filled, that is all we have available. PLEASE READ CAREFULLY THE NOTES BESIDE EACH ITEM YOU ARE SIGNING UP FOR SO YOU PROVIDE THE CORRECT QUANTITY NEEDED!! We need all the food to be brought in the full size aluminum pans . Please make sure they are completely full as that is what we are basing the portion sizes on. All items also need to be fully cooked (except canned corn, green beans, and gravy). 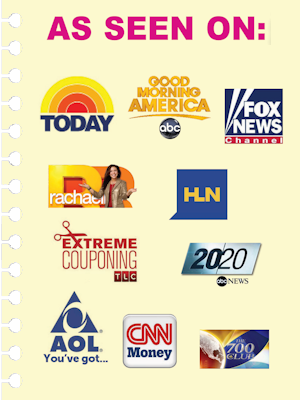 The link above will take you directly to the sign-up sheet. Thanks for helping us feed the least of these ~ MATTHEW 25:40 If you are willing to help the day of the event, please sign up also – that section is at the bottom of the sign-up sheet! We will need many to stay afterwards to help us clean up please. Thanks for continuing to be the hands and feet of Jesus!! This is such a cool outreach and I am really excited about this!! You guys are simply amazing! Something for everyone to think about also as we prepare for this meal, What does kindness mean to each of you? I sometimes think we underestimate how powerful kindness can be to people who are hurting. It truly can change their lives FOREVER! 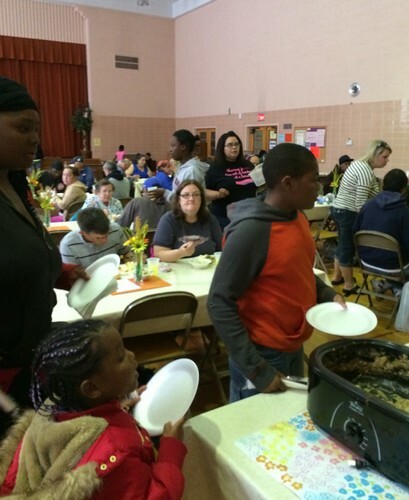 **OUTREACH OPPORTUNITY** FREE Community Dinner – Sunday, October 30th!! We will be doing our monthly meal outreach to help feed the homeless/less fortunate in our community or as we like to call it – a FREE Community Dinner on Sunday, October 11th. We will be providing Hamburger Stroganoff w/Noodles and Green Beans, Smoked Sausage, and Potatoes, and all the fixins. Such a cool way to give back to our community and help those that are struggling right now. The event is scheduled at St. Lucas Lutheran Church at 745 Walbridge Avenue (Off of Broadway), Toledo, OH 43609 from 4 to 5. (Please note you will need to use the Frank Door Entrance). This is for the entire family so feel free to bring your children. We have a sign-up sheet for all items that we need below. PLEASE READ CAREFULLY THE NOTES BESIDE EACH ITEM YOU ARE SIGNING UP FOR SO YOU PROVIDE THE CORRECT QUANTITY NEEDED!! We need all the food to be brought in the full size aluminum pans. Please make sure they are completely full as that is what we are basing the portion sizes on. If you want to sign up for multiple items, please feel free to do that. We need all items at the church NO LATER THAN 3:30 p.m. and please come in the Frank Street Entrance at the Big RED DOOR!! Please note we are unable to pick up food items, so please only sign up if you are able to drop them off at church:) All items also need to be fully cooked (except canned corn, green beans, and gravy). The link above will take you directly to the sign-up sheet. Also, if you would like to make a monetary donation visit the Miracle CHRISTmas website and click on the “donate” tab for a secure paypal donation. OUTREACH OPPORTUNITY ~ FREE Community Dinner – April 24, 4-5:30 p.m.
We will be doing our monthly meal outreach to help feed the homeless/less fortunate in our community on Sunday, April 24th. This will be a meatloaf dinner with all the fixings. In March we fed well over 300, we we are planning to feed 500+ again God willing and we need your help 🙂 Such a cool way to give back to our community and help those that are struggling right now. The event is scheduled at St. Lucas Lutheran Church at 745 Walbridge Avenue (Off of Broadway), Toledo, OH 43609 from 4 to 5:30. (Please note you will need to use the Frank Door Entrance). This is for the entire family so feel free to bring your children. We have a sign-up sheet for all items that we need below AND VOLUNTEERS. Please note volunteer spots are limited and unfortunately once they are filled, that is all we have available. PLEASE READ CAREFULLY THE NOTES BESIDE EACH ITEM YOU ARE SIGNING UP FOR SO YOU PROVIDE THE CORRECT QUANTITY NEEDED!! We need all the food to be brought in the 1/2 size aluminum pans (Standard 9 x 13 and approx. 2″ deep) or you can bring a full size sheet pan. Please make sure they are completely full as that is what we are basing the portion sizes on. 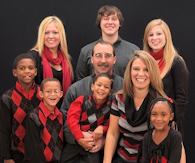 You can also make monetary donations by visiting www.miraclechristmas.com and clicking on the “donate now” on right-hand sidebar. If you want to sign up for multiple items, please feel free to do that. We need all items at the church NO LATER THAN 3:30 p.m. and please come in the Frank Street Entrance at the Big RED DOOR!! Please note we are unable to pick up food items, so please only sign up if you are able to drop them off at church:) All items also need to be fully cooked (except canned corn, green beans, and gravy). The link above will take you directly to the sign-up sheet. Thanks for helping us feed the least of these ~ MATTHEW 25:40 If you are willing to help the day of the event, please sign up also – that section is at the bottom of the sign-up sheet! We will need many to stay afterwards to help us clean up please. Thanks for continuing to be the hands and feet of Jesus!! This is such a cool outreach and I am really excited about this!! You guys are simply amazing! 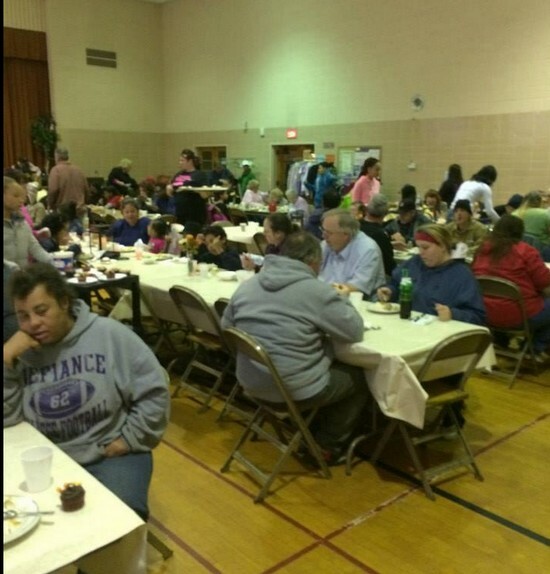 **OUTREACH OPPORTUNITY** FREE Community Thanksgiving Dinner – November 22nd!! We will be doing our monthly meal outreach to help feed the homeless/less fortunate in our community on Sunday, November 22nd. This will be a Thanksgiving dinner with all the fixings. 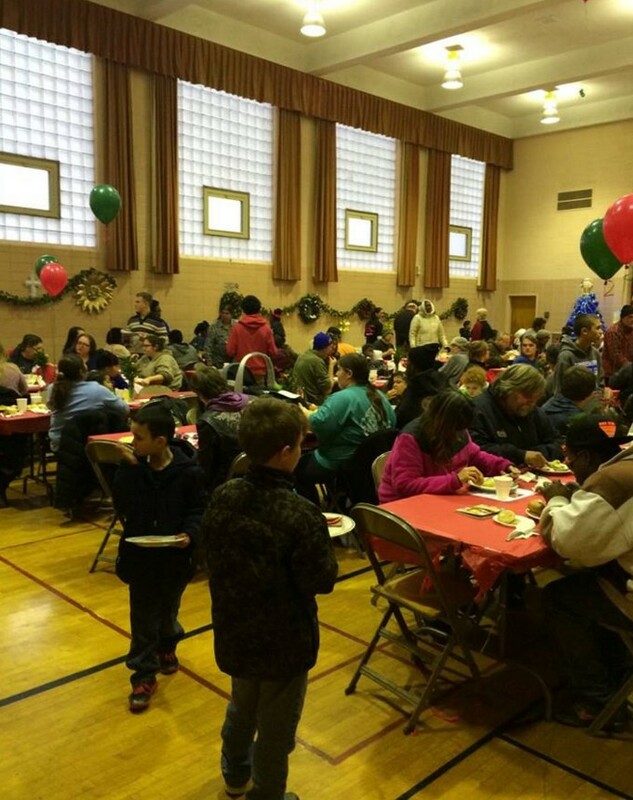 Last year we fed close to 400 people. We are planning to feed that many if not more this year 🙂 Such a cool way to give back to our community and help those that are struggling right now. The event is scheduled at St. Lucas Lutheran Church at 745 Walbridge Avenue (Off of Broadway), Toledo, OH 43609 from 4 to 5:30. (Please note you will need to use the Frank Door Entrance). This is for the entire family so feel free to bring your children. We have a sign-up sheet for all items that we need below. We will also be making up Care Packages. Please let me know if you can help with care packages as we will be trying to make 200. PLEASE READ CAREFULLY THE NOTES BESIDE EACH ITEM YOU ARE SIGNING UP FOR SO YOU PROVIDE THE CORRECT QUANTITY NEEDED!! **OUTREACH OPPORTUNITY** FREE Community Dinner – Sunday, September 27!! We will be doing our monthly meal outreach to help feed the homeless/less fortunate in our community or as we like to call it – a FREE Community Dinner on Sunday, September, 27th. We will be providing Smothered Chicken and Red Potatoes and Turkey Casserole and all the fixins. Such a cool way to give back to our community and help those that are struggling right now. The event is scheduled at St. Lucas Lutheran Church at 745 Walbridge Avenue (Off of Broadway), Toledo, OH 43609 from 4 to 5:30. (Please note you will need to use the Frank Door Entrance). This is for the entire family so feel free to bring your children. We have a sign-up sheet for all items that we need below. PLEASE READ CAREFULLY THE NOTES BESIDE EACH ITEM YOU ARE SIGNING UP FOR SO YOU PROVIDE THE CORRECT QUANTITY NEEDED!! If you want to sign up for multiple items, please feel free to do that. We need all items at the church NO LATER THAN 3:30 p.m. and please come in the Frank Street Entrance at the Big RED DOOR!! Please note we are unable to pick up food items, so please only sign up if you are able to drop them off at church:) All items also need to be fully cooked (except canned corn, green beans, and gravy). The link above will take you directly to the sign-up sheet. Also, if you would like to make a monetary donation visit the Miracle CHRISTmas website and click on the “donate” tab for a secure paypal donation. Thanks for helping us feed the least of these ~ MATTHEW 25:40 If you are willing to help the day of the event, please sign up also – that section is at the bottom of the sign-up sheet! We will need many to stay afterwards to help us clean up please. Thanks for continuing to be the hands and feet of Jesus!! This is such a cool outreach and I am really excited about this!! You guys are simply amazing! **OUTREACH OPPORTUNITY** FREE Community Picnic (Feeding the Homeless/Less Fortunate) Sunday, August 16th, 2015!! We are so excited to announce that we will be doing our monthly feeding the homeless/less fortunate, but for August, we will be doing an outdoor picnic. This is our 2nd-annual event. This will still be held at St. Lucas Church, 745 Walbridge, Toledo, OH, from 4 to 5:30. We will be cooking out, giving away backpacks, and possibly a bounce house and visit from Muddy the Mudhen. We received a permit to block off Frank Street so the picnic will ALL be outside. 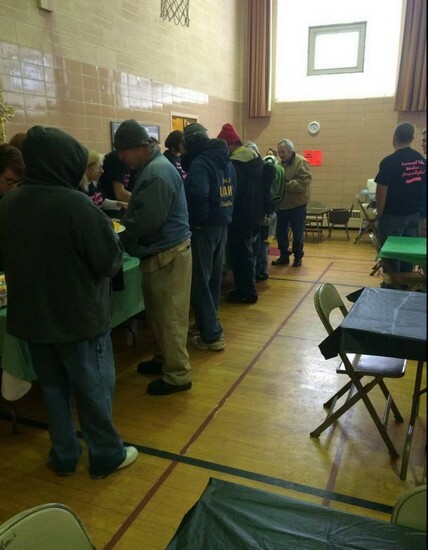 In addition, we have had to hire 2 Toledo Police Officers ($75 for each one so a total of $150). We did this just for safety reason. We are in need of much food, backpacks, volunteers, etc. If you cannot make a dish, please consider making a monetary donation, we need to raise approximately $500 to make this happen. 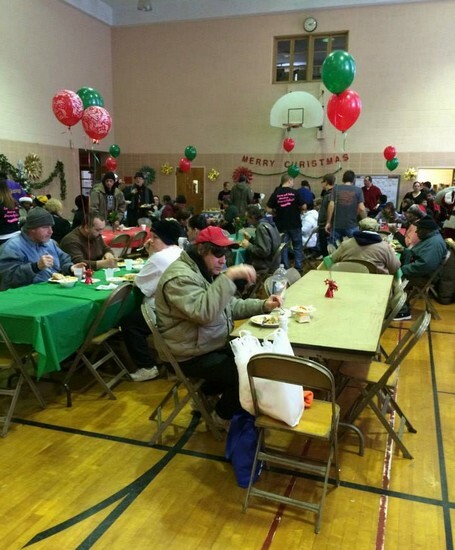 Last year we served well over 300 people, so we are anticipating a little more this year. Neighbors will be able to smell the delicious food we are cooking out and they will see we are having a FREE, FUN event. Due to that, we will also need more volunteers. We have had many say they cannot help due to summer being so busy and we appreciate that and completely understand, but please remember, people are still hungry in the summer so any help you can give is greatly appreciated!! This is for the entire family so feel free to bring your children. We have a sign-up sheet for all item that we need. PLEASE READ CAREFULLY THE NOTES BESIDE EACH ITEM YOU ARE SIGNING UP FOR SO YOU PROVIDE THE CORRECT QUANTITY NEEDED!! ALSO, ANYONE THAT SIGNS UP TO VOLUNTEER, WILL ALSO NEED TO BRING AN ITEM FROM THE LIST DUE TO LIMITED RESOURCES. 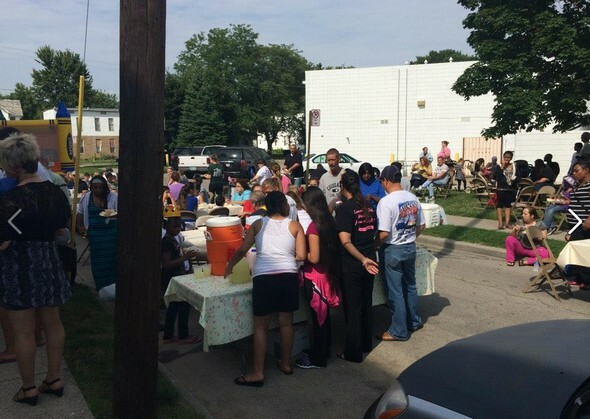 **OUTREACH OPPORTUNITY** FREE Community Dinner – July 19, 2015!! We will be doing our monthly meal outreach to help feed the homeless/less fortunate in our community on Sunday, July 19th. We will be providing pork chops and rice and all the fixins. Such a cool way to give back to our community and help those that are struggling right now. The event is scheduled at St. Lucas Lutheran Church at 745 Walbridge Avenue (Off of Broadway), Toledo, OH 43609 from 4 to 5:30. (Please note you will need to use the Frank Door Entrance). This is for the entire family so feel free to bring your children. We have a sign-up sheet for all items that we need below. PLEASE READ CAREFULLY THE NOTES BESIDE EACH ITEM YOU ARE SIGNING UP FOR SO YOU PROVIDE THE CORRECT QUANTITY NEEDED!! **OUTREACH OPPORTUNITY** Help us Serve a FREE Community Easter Dinner!! You can also make monetary donations by visiting www.miraclechristmas.com and clicking on the “donate now” tab. If you want to sign up for multiple items, please feel free to do that. We need all items at the church NO LATER THAN 3:30 p.m. and please come in the Frank Street Entrance at the Big RED DOOR!! Please note we are unable to pick up food items, so please only sign up if you are able to drop them off at church:) All items also need to be fully cooked (except canned corn, green beans, and gravy). The link above will take you directly to the sign-up sheet. Also, if you would like to make a monetary donation visit the Miracle CHRISTmas website and click on the “donate” tab for a secure paypal donation. Thanks for helping us feed the least of these ~ MATTHEW 25:40 If you are willing to help the day of the event, please sign up also – that section is at the bottom of the sign-up sheet! We will need many to stay afterwards to help us clean up please. Thanks for continuing to be the hands and feet of Jesus!! This is such a cool outreach and I am really excited about this!! You guys are simply amazing! 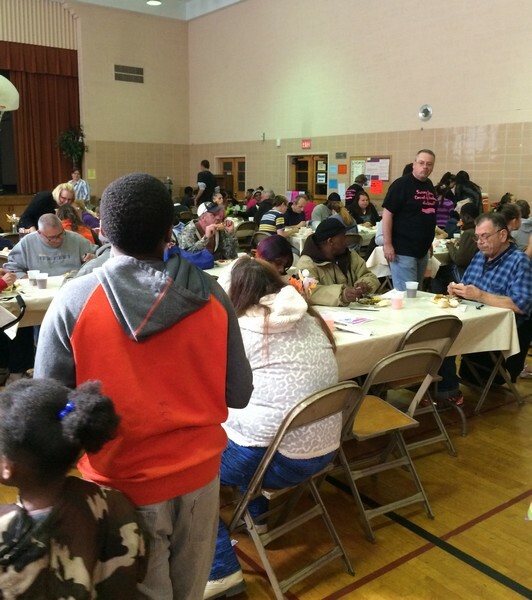 **OUTREACH OPPORTUNITY** FREE Community Dinner – February 15, 2015! We will be doing our monthly FREE Community Dinner in our community on Sunday, February 15th. This will be a pot roast, potatoes, and carrots dinner with all the fixings. In January, we fed well over 100, we we are planning to feed 200 God willing and we need your help 🙂 Such a cool way to give back to our community and help those that are struggling right now. The event is scheduled at St. Lucas Lutheran Church at 745 Walbridge Avenue (Off of Broadway), Toledo, OH 43609 from 4 to 5:30. (Please note you will need to use the Frank Door Entrance). This is for the entire family so feel free to bring your children. We have a sign-up sheet for all items that we need below AND VOLUNTEERS. Please note volunteer spots are limited and unfortunately once they are filled, that is all we have available. PLEASE READ CAREFULLY THE NOTES BESIDE EACH ITEM YOU ARE SIGNING UP FOR SO YOU PROVIDE THE CORRECT QUANTITY NEEDED!! We need all the food to be brought in the 1/2 size aluminum pans (Standard 9 x 13 and approx. 2″ deep) or if it states a full sheet pan. Please make sure they are completely full as that is what we are basing the portion sizes on. You can also make monetary donations by visiting www.miraclechristmas.com and clicking on the “donate now” tab. If you want to sign up for multiple items, please feel free to do that. We need all items at the church NO LATER THAN 3 p.m. and please come in the Frank Street Entrance at the Big RED DOOR!! Please note we are unable to pick up food items, so please only sign up if you are able to drop them off at church:) All items also need to be fully cooked (except canned corn, green beans, and gravy). The link above will take you directly to the sign-up sheet. Also, if you would like to make a monetary donation visit the Miracle CHRISTmas website and click on the “donate” tab for a secure paypal donation. Thanks for helping us feed the least of these ~ MATTHEW 25:40 If you are willing to help the day of the event, please sign up also – that section is at the bottom of the sign-up sheet! We will need many to stay afterwards to help us clean up please. Thanks for continuing to be the hands and feet of Jesus!! This is such a cool outreach and I am really excited about this!! You guys are simply amazing! **OUTREACH OPPORTUNITY** Help us Feed the Homeless/Less Fortunate January 18, 2015!! We will be doing our monthly meal outreach to help feed the homeless/less fortunate in our community on Sunday, January 18th. This will be an unstuffed cabbage/green peppers dinner with all the fixings. In December, we fed well over 300, we we are planning to feed 300+ again God willing and we need your help 🙂 Such a cool way to give back to our community and help those that are struggling right now. The event is scheduled at St. Lucas Lutheran Church at 745 Walbridge Avenue (Off of Broadway), Toledo, OH 43609 from 4 to 5:30. (Please note you will need to use the Frank Door Entrance). This is for the entire family so feel free to bring your children. We have a sign-up sheet for all items that we need below AND VOLUNTEERS. Please note volunteer spots are limited and unfortunately once they are filled, that is all we have available. PLEASE READ CAREFULLY THE NOTES BESIDE EACH ITEM YOU ARE SIGNING UP FOR SO YOU PROVIDE THE CORRECT QUANTITY NEEDED! !